We close our 50th anniversary season with full orchestra accompaniment and an homage to great chorus and orchestra works, past and present. We are Portland’s choir, both geographically and in spirit and are committed to artistic excellence that enriches and inspires. Choral Arts Ensemble of Portland upholds a tradition of choral excellence, sharing a passion for our art while having a little fun along the way. In our 50th season, we continue our tradition of inspiring and enriching our broad community of audiences with unique and diverse programming performed at the highest artistic level. 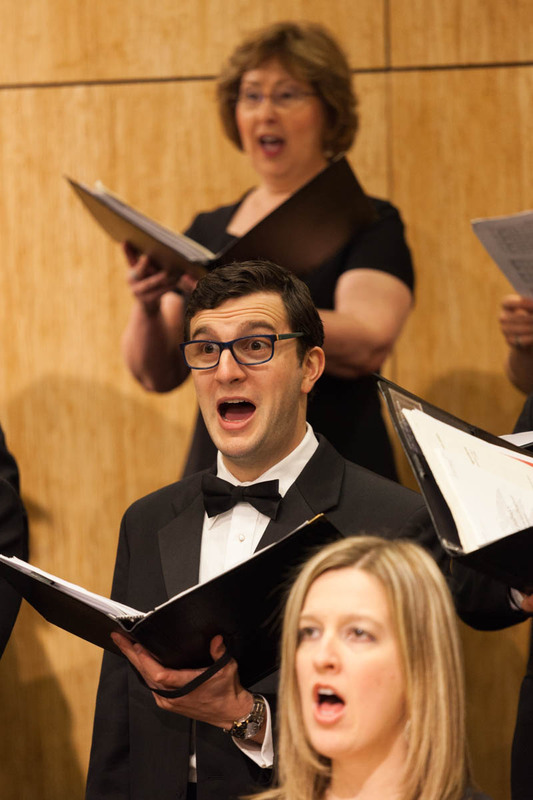 The Choral Arts Ensemble of Portland is one of the region’s premier choirs. We are a fully-auditioned ensemble made up of singers who represent a variety of professional occupations and diverse singing experiences, but we have all joined for a simple reason – passion – for music, for our fellow singers and for our audiences. We seek choral singers of extraordinary skill who will share in this passion. In order to continue our mission as a Portland choir to deliver high quality choral music to the community and to make it accessible to everyone, we depend on the generosity of donors like you. Your donation dollars will help us continue to provide discounted tickets for seniors and students, to partner with guest musicians like composer Ola Gjeilo, to purchase needed music and equipment and to sing in venues such as the Hollywood Theater and The Old Church. Thank you for your support!